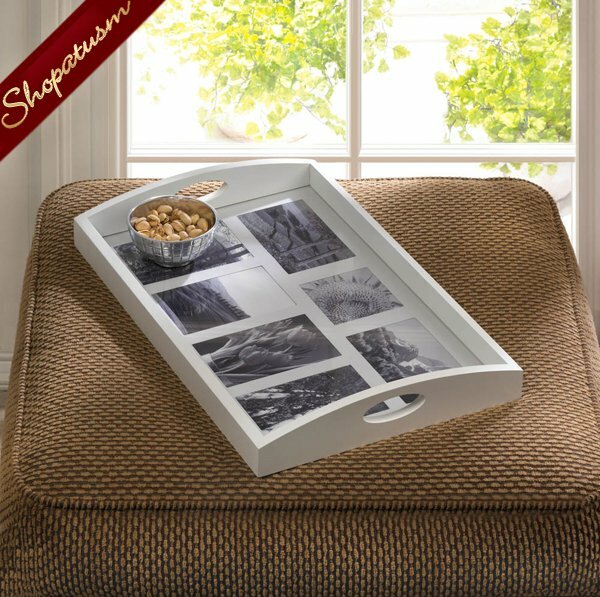 Here's a great way to keep your tabletop organized or serve guests while showing off your best photos. This wooden tray is finished in white and features two easy-carry handle cutouts. 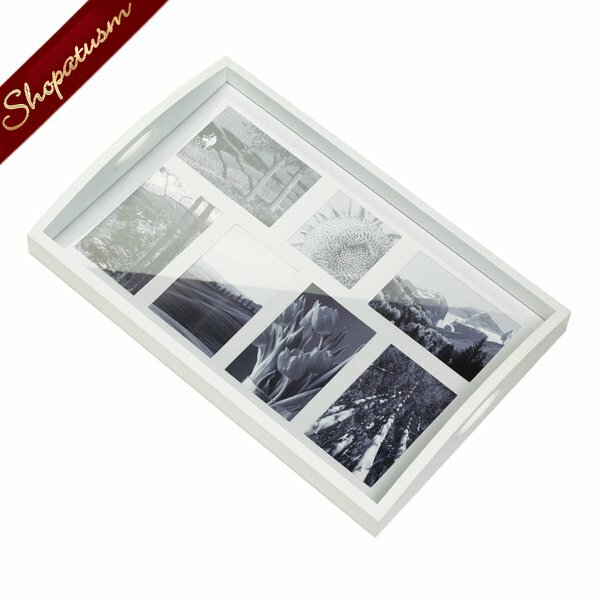 Under the glass you can show off 7 of your favorite photo memories. Item weight: 3.6 lbs. 19 1/4" x 12 5/8" x 2 1/2" high. MDF wood. Contents not included.